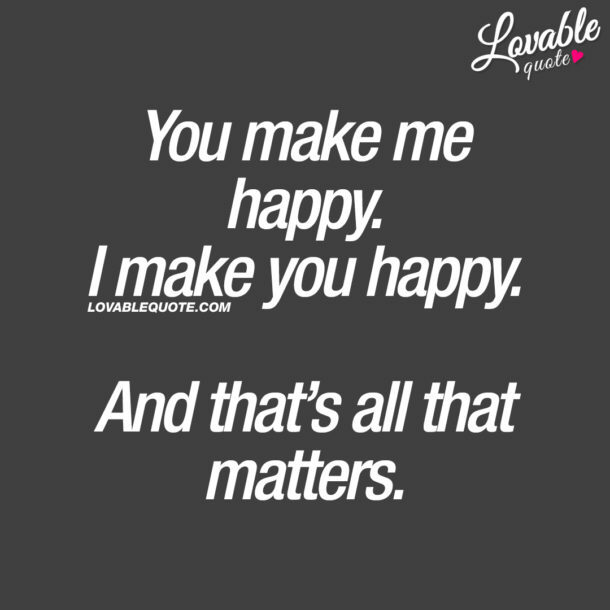 Lovable Quotes - The best love, relationship and couple quotes! We create romantic love quotes for him, her and couples and you will also be able to enjoy nice quotes and sayings about relationships, relationship goals and a ton of cute quotes right here on our site! Enjoy all our lovable Quotes and make sure you follow us on Instagram, Pinterest, Facebook or Tumblr for more of our original quotes about love and life! 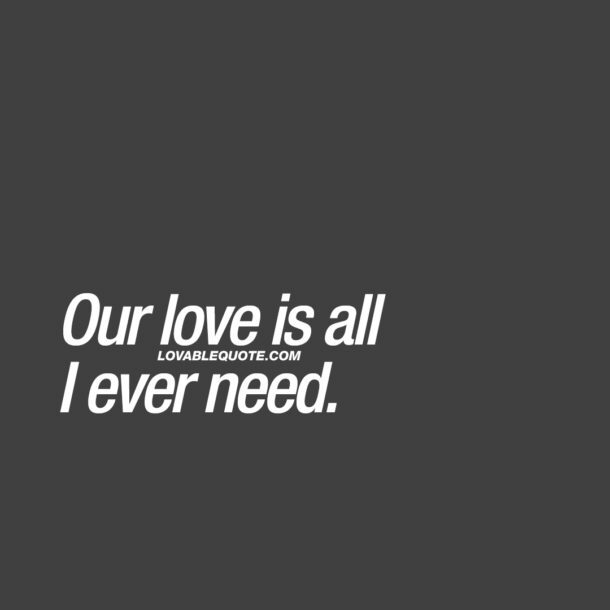 Our love is all I ever need. No words can describe how amazing you make me feel. You. Me. Us. I love what we started and I don’t ever want to lose you. 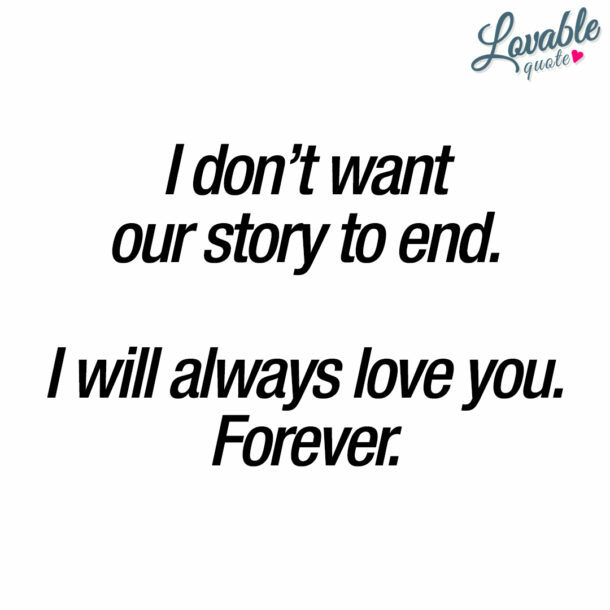 I don’t want our story to end. I will always love you. Forever. You make me happy. I make you happy. And that’s all that matters. I just want to be happy. With you. I love being crazy and silly with you. I love when you kiss all my worries and pains away. 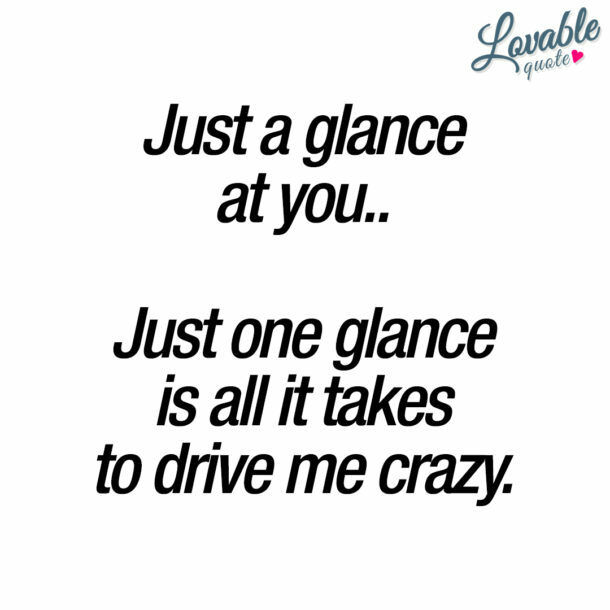 Just a glance at you.. Just one glance is all it takes to drive me crazy. Life feels so complete when we’re together. I love that feeling.